Our Free Bitcoin ATM Placement Partnership Program is designed for all locations and we will place the BCB ATM for you at no charge. 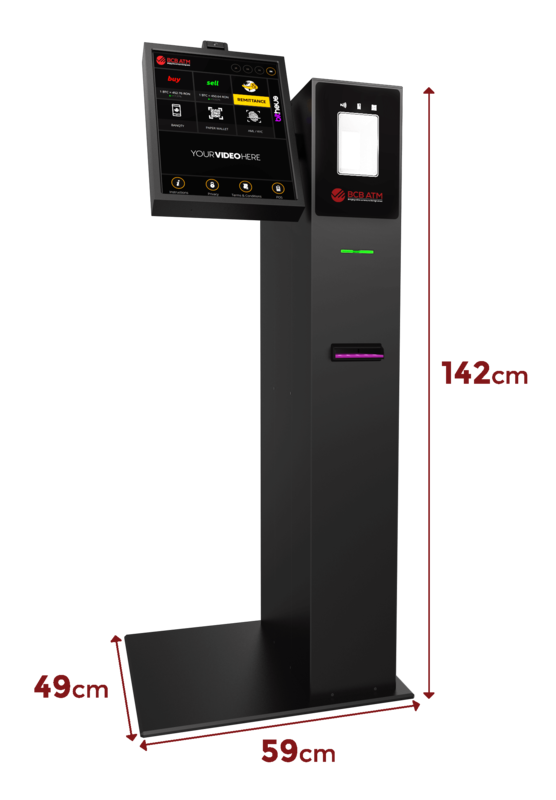 We provide Two-way free standing machines. We will provide you with the most reliable machines in market. As with all BCB ATM services, friendly and courteous 24/7 partnership support is never more than a phone call away. We know time is of the essence. Bitcoin ATM machines are set up and deployed in as little as 24 hours. We will come down and install the machine at convenient time suitable for you at no cost. Our Bitcoin ATM machines are fairly simple to operate. We do all the programming and training to ensure that you are equipped to maximise your profits. As with all BCB ATM services, friendly and courteous 24/7 support is never more than a phone call away. Full service contracts are available. Significantly increase your monthly revenue from additional sales due to the added foot traffic the Bitcoin ATM brings in. Don't just take our word for it, read the testimonials. Fill in our quick and simple form and one of the team will get back to you shortly. Ideally situated at the rear of your premises to allow privacy during transactions. Please refer to the image for dimensions. To increase profitability, we require establishments that are open at minimum 10 hours per day. 6 days per week. The agreement signatory must be either the owner, director or persons with significant control of the business. Identification will be required before signing any agreements for placement. We would require a point of contact for the location. This could either be the agreement signatory or member of staff(s) that will be available should the need to contact the location arise.